Dylans siblings are the kindest sweetest children who are growing into the most respectful, patient and globally enriching young people. They sacrifice their space, toys and attention selflessly time and time again. Sometimes graciously, often without realising. They are inclusive and considerate. They actively encourage Dylan to progress and support us as parents to allow us time to concentrate with the endless educational resources, paperwork and meetings Dylan requires. I am so immensely proud of them. 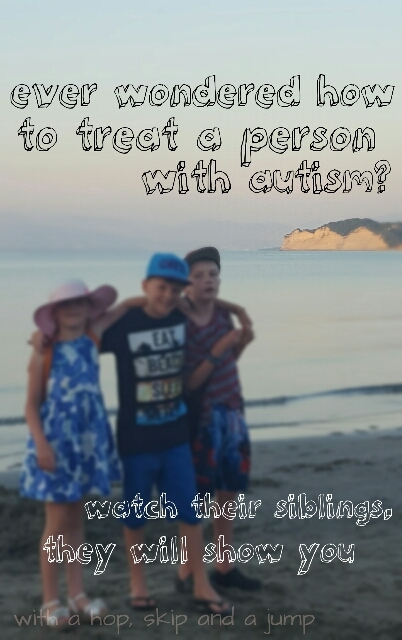 Siblings of autistic individuals are indeed very special and have a special outlook on life. We also have conflicting feelings and emotions. If you are interested, I have documented my experiences as a sibling from my childhood in the 1950s to the present. (see davisbrotherlylove.com). Bravo to all your kids! I love the insight I get from your blog. As Dylan’s siblings are growing older I am aware of the increase in conflict and will endeavour to try to acknowledge and support them with this as much as possible. 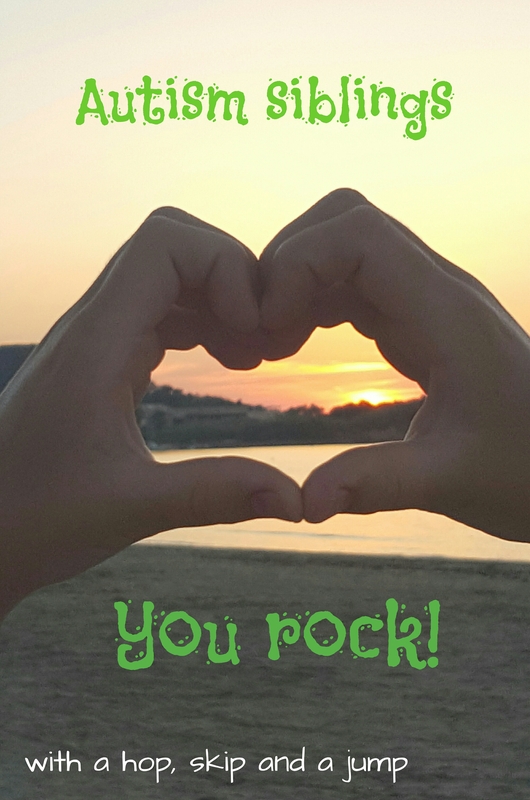 Thank you for reading and for acknowledging the special circumstances of Dylan’s sibs.